Today’s shoppers strolling down your grocery aisles are looking for comfort foods with a healthful nutrition profile and great flavor. MacFarlane Pheasants makes it possible to combine farm-fresh quality, convenience, flavor and inspired recipe ideas all in one package. 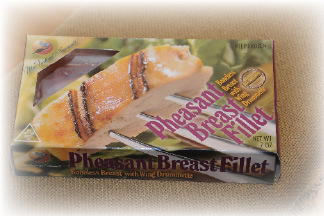 With complete control of the process from pasture to plate—MacFarlane Pheasants offer unmatched quality. This protein- rich power food is packed with superior nutrition, and is conveniently available year round. The pheasants are fed natural grains and handled humanely. MacFarlane Pheasants’ own cutting and packaging facility assures that our pheasants meet the needs of discriminating food lovers. For more information or to learn how you can offer MacFarlane Pheasants on your store’s shelves, contact Rachel Atherton of MacFarlane Pheasants at 800.345.8348 or dressedpheasants@pheasant.com.